World War II impacted the paleontology program significantly, as it did so many others at Berkeley and elsewhere. The staff and faculty were busy with war efforts, some having enlisted in the service. The collections were of some concern, since the west coast of the United States was designated a combat zone. Vanderhoof reported “… attention has already been given to the preservation of types from destruction. 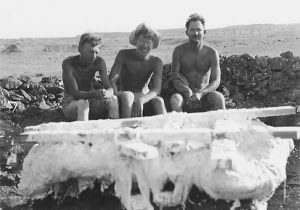 Some thought has even been given to the preservation of paleontologists, but they, of course, can be replaced.” (Vanderhoof 1942). 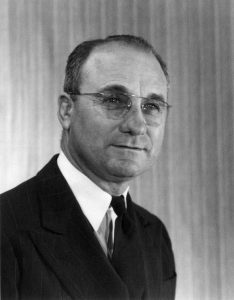 Charles Camp at age 50 served part-time in the Coast Guard, Sam Welles was in Electrical Engineering in the Engineering Science War Training Program (Stirton 1944), and Vanderhoof joined the Manhattan Project. World War II made the practice of paleontology difficult at Berkeley, as everywhere. Faculty of the Paleontology Department, UC Berkeley, about 1955. Clockwise from top left: Ralph W. Chaney, Ruben A. Stirton, Robert M. Kleinpell, Charles L. Camp, J. Wyatt Durham, Samuel P. Welles, Ralph L. Langenheim, and Donald E. Savage. Welles was never a professor in the department, but served as an instructor for a time and as a Museum Paleontologist. From the UCMP Archives. After the war, the paleontology program regained its vitality. Three new faculty appointments in micropaleontology, invertebrate paleontology, and vertebrate paleontology created a strong center in all paleontology. 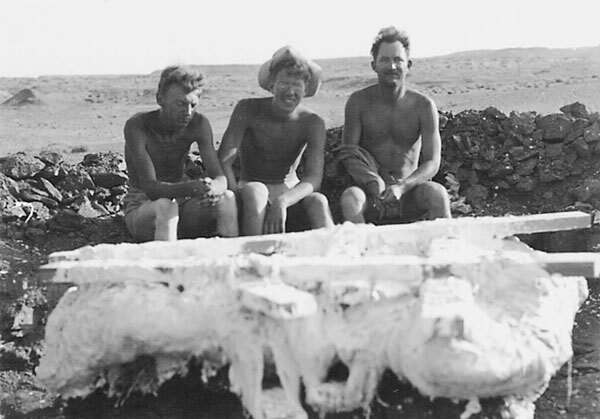 Robert M. Kleinpell, Donald E. Savage and J. Wyatt Durham joined Camp and Ralph Chaney, and in the museum, Ruben A. Stirton and Sam Welles, forming a powerful group that covered all of paleontology (left). Annie Alexander’s interests began to move toward plants, largely under the influence of her partner Louise Kellogg. The two of them spent many months collecting plants and donating them to the University Herbarium. This and other diversions caused Alexander to become less involved in the ordinary operations of the Museum of Paleontology. She still maintained an interest in and support for UCMP, however, but now paleontology was mostly on its own. In 1950, Annie Alexander passed away. Charles Camp, who had established himself as a foremost reptilian paleontologist by virtue of his collecting and publishing activities, trained a continuing line of vertebrate paleontologists (Gregory 1996a). His interests were wide and included history of the west and of paleontology, as well as book collecting. He wrote outstanding descriptive and interpretive monographs and papers on various fossil reptiles. He and Sam Welles collected late Triassic ichthyosaurs (Shonisaurus populari) from near Berlin, Nevada, an area of 1153 acres that was set aside by the State of Nevada as Berlin Ichthyosaur State Park. Camp and Welles excavated 40 of the animals (Camp 1980), recognized the uniqueness of the occurrence and petitioned Nevada to preserve the site. Shonisaurus populari, until recently the largest ichthyosaur known (a larger species, S. sikanniensis, has since been collected in British Columbia), has been adopted as the Nevada State Fossil (Rowland 1999). Ralph Chaney remained a faculty member in the department and a faculty curator in UCMP. 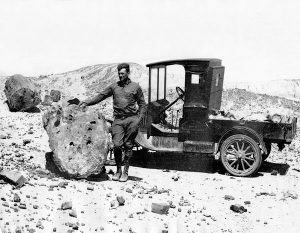 He worked on the fossil floras of the west and taught paleobotany for many years from 1931 to 1957, producing students and publications. One of his major accomplishments was the documentation of the history of Redwoods in North America. As part of this work, he went to China and returned with seeds and seedlings of the imperfectly known Dawn Redwood, thought to have been extinct but discovered by Chinese workers to be living in parts of China. Two of Chaney’s specimens still grow outside McCone Hall. 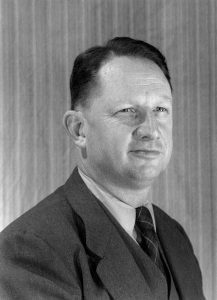 Ruben Stirton, who had been a curator in UCMP since 1930, was appointed to the faculty in 1949, as Professor, Chair of the Department of Paleontology, and Director of UCMP (Gregory 1997b). He continued a vigorous program of mammalian paleontology, teaching and involvement with campus activities. He wrote a textbook of general paleontology (Stirton 1959), organized a major field expedition to Australia to document the early history of marsupials there, published extensively on many groups of mammals, developed the UCMP collections, and tutored many vertebrate paleontologists who have gone on to make major contributions to the field. 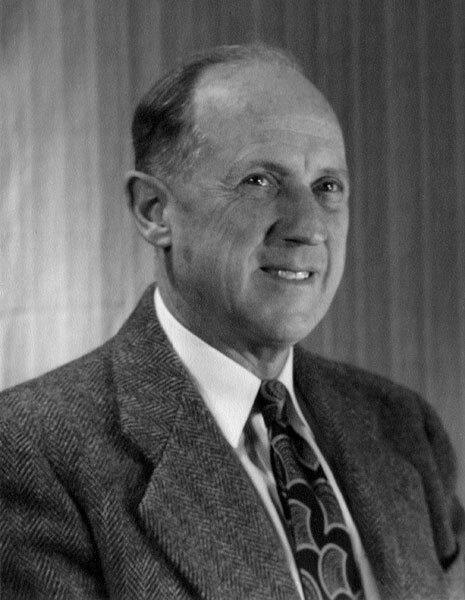 Robert M. Kleinpell, who in 1938 had established a Miocene biostratigraphy of California (Kleinpell 1938) based on his Ph.D. dissertation at Stanford University, was appointed to the faculty and UCMP in 1946. 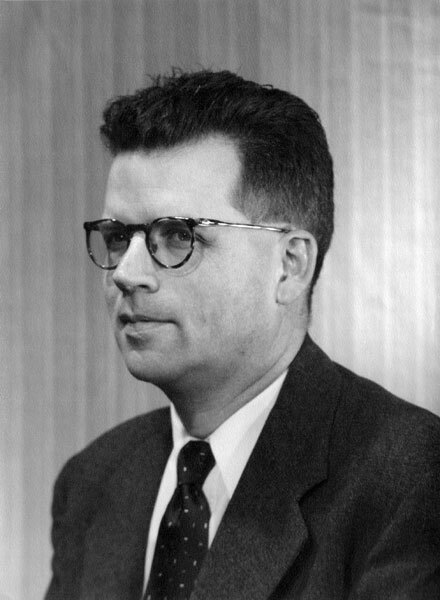 His work on foraminiferal biostratigraphy provided one of the fundamental exploration tools for the thriving oil industry. Until his retirement in 1974, he produced a long line of students in micropaleontology as well as a number of influential and important works on fossil foraminifera and biostratigraphy of California. He and his students developed a very large collection of foraminiferal samples and slides that formed an outstanding resource in foraminiferal work. Kleinpell was regarded as the foremost Californian micropaleontologist by the oil industry and academics alike, and a student of the history of the field itself (Kleinpell 1971, 1972). J. Wyatt Durham was named to the faculty and museum in invertebrate paleontology in 1947. He too had many students, and he published widely on many groups of invertebrates and their history. He dealt with their biostratigraphy, paleoecology and evolution, and held strong opinions on continental drift, and later, plate tectonics. His collecting activities took him far away to collect both modern and fossil animals. He was especially attracted to and collected from the amber deposits of Chiapas, Mexico. Donald Savage continued on as a faculty member after finishing his Ph.D. in the Department of Paleontology under Stirton in 1949 (Gregory 1997a). His work featured the description and stratigraphy of vertebrate faunas throughout the west. Savage collaborated with geologists to document the radiometric ages of the vertebrate ages used across western North America. He too had a number of outstanding students. He was well known as a craftsman in making displays of fossils. 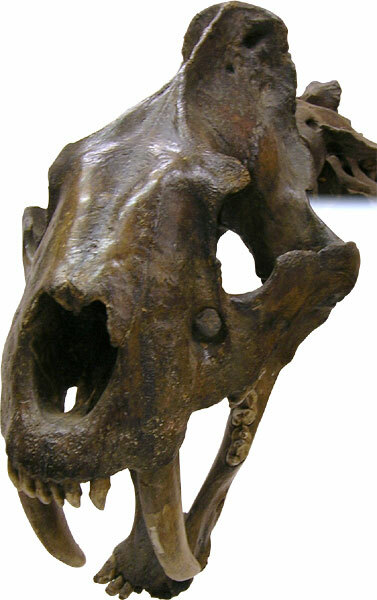 Savage also worked hard to have the saber-toothed cat, Smilodon californicus (right) from Rancho La Brea, declared the California State Fossil in January 1974. Sam Welles, who received his Ph.D. in paleontology in 1940 at Berkeley, decided that he did not want to be a faculty member but would rather dedicate himself to the collection and description of vertebrate fossils (Gregory 1997c). Welles specialized on reptiles and worked closely with Camp in the field although he treasured his own numerous and major contributions. He described the plesiosaur Hydrotherosaurus alexandrae and dinosaur Dilophosaurus (left), among many other accomplishments. 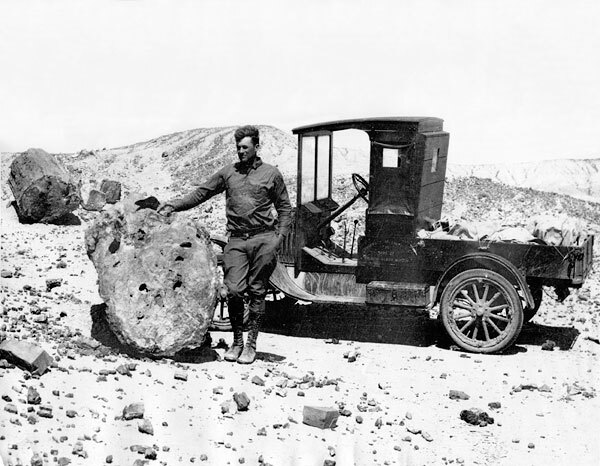 Welles believed that the chief goal of a paleontologist was to collect fossils in the field before natural processes destroyed them, and he was very good at that task.